Ron was killed in 1988 when struck by a car while riding a bike near his home in Dallas. He earned a bachelor's degree from Texas A&M in 63 and went on to jobs as staff writer for the Houston Press and executive sports editor of the Memphis Press-Scimitar. He served as public relations director for World Champion-ship Tennis 67-71, and was editor and associate publisher of World Tennis magazine 71-80. He was a former president of the United States Tennis Writers Association. In 1980 he joined the Association of Tennis Professionals as director of communications and became deputy executive director of the ATP in 1986, the position he held at the time of his death. 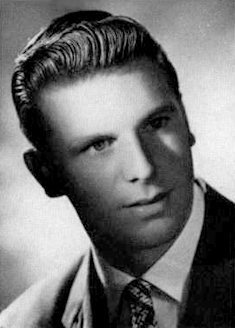 Bill Bookman, Ron's younger brother who was in elementary school at Nouasseur in 1954, was killed in a hunting accident on Ron's birthday in 1962, right after graduation from high school. Carmen passed away on June 28, 2000, following a long battle with breast cancer. 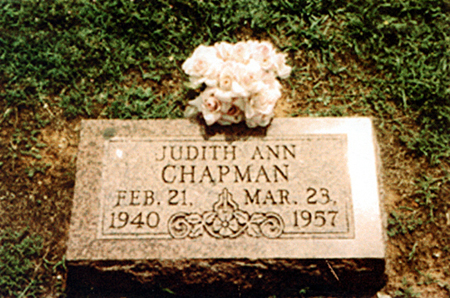 She attended 11th & 12th grades, 1956-1958. Faculty database, and photos at the bottom of the Vegas 1991 Reunion page. A Memorial Brick will be placed in her honor on the grounds of the American Overseas Schools Historical Society Museum in Wichita, when it is built. To view it, click here, then on "C" and her name. Judy attended 10th grade at H.H. Arnold High School, Wiesbaden, Germany, 1955-56, and 11th grade at Nouasseur 1956-57. 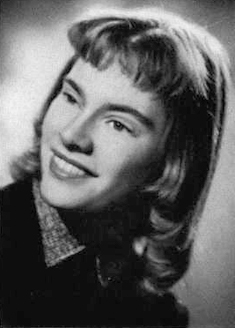 She was killed in an auto accident in Morocco on March 23, 1957, along with two other Nouasseur students. Paver will be placed in their honor on the grounds of the American Overseas Schools Historical Society Museum in Wichita, when it is built. To view the paver, click here, then click on "C", click on Judy's name, and click on "Large Paver." There's a beautiful photo of her on that site. Judy was a very special friend of mine in Germany and Morocco. The passing of time has not erased the fond memories I have of her. grades at Nouasseur during 1955-1958, and graduated with the Class of '58. You'll find some bio info on her under her name in the Student/Faculty database. Pat passed away in July 2001, after a long struggle with lung cancer. 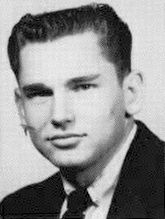 Mike was in the 11th and 12th grades at Nouasseur 1956-58, and graduated with the Class of '58. Hi moved to northern Michigan when he left Morocco. He married and joined the U.S. Army for a 22-year career. He was stationed in Germany and had two tours in Vietnam. He was exposed to Agent Orange on one of those tours and passed away from cancer in 1995. He left behind three children and his wife. 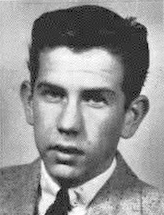 Dan was at Nouasseur for his 9th and 10th grades during the 1954-56 time period. Tom spent his 9th thru 11th grades at Nouasseur, beginning in 1953. March 23, 1957, along with two other Nouasseur students. This website is especially dedicated to those we lost that day. A Memorial Paver will be placed in their honor on the grounds of the American Overseas Schools Historical Society Museum in Wichita, when it is built. To view the paver, click here, then click on "L", click on Tom's name, and click on "Large Paver." There's a great photo of him there, too. Lunch of wonderful hamburgers and fries at the TCV Club with Tom and Judy (Chapman) was a daily ritual. George spent his 8th thru 10th grades at Nouasseur from 1953 thru 1956. 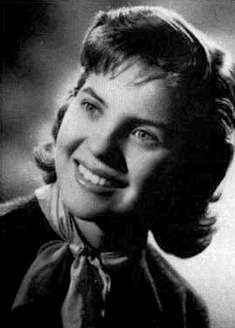 Roberta ("Bobbie") was in 9th thru 11th grades at Nouasseur from November 1954 to January 1957. You can read some bio info on her in the Student/Faculty database. Due to health problems, Roberta was not able to travel to any of our reunions. She frequently telephoned your webmaster to keep up with the news, however, and always enclosed money in her yearly Christmas card to help support the group. While rounding up participants for the Atlanta 2004 Overseas Brats reunion, Jerry Jones '57 learned from Robert's daughter that Roberta had passed away around April of 2004.